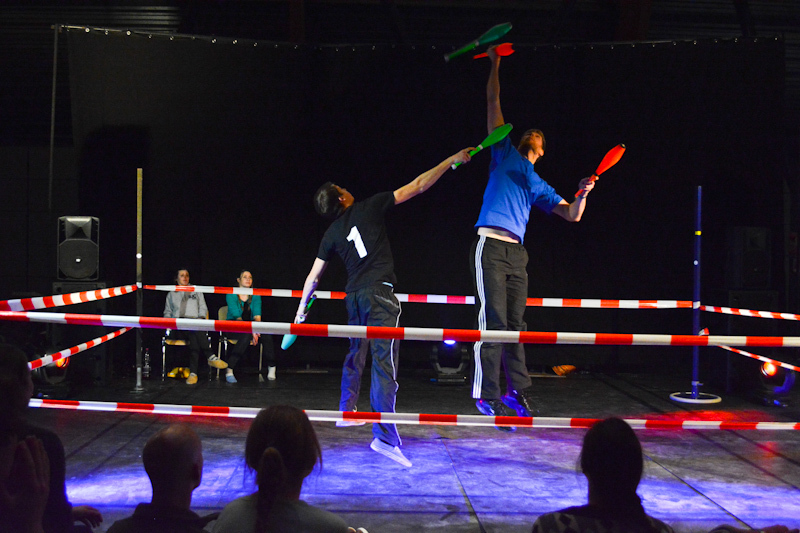 Last weekend the Winter Juggling Weekend 2016 hosted a Fight Night Combat tournament. 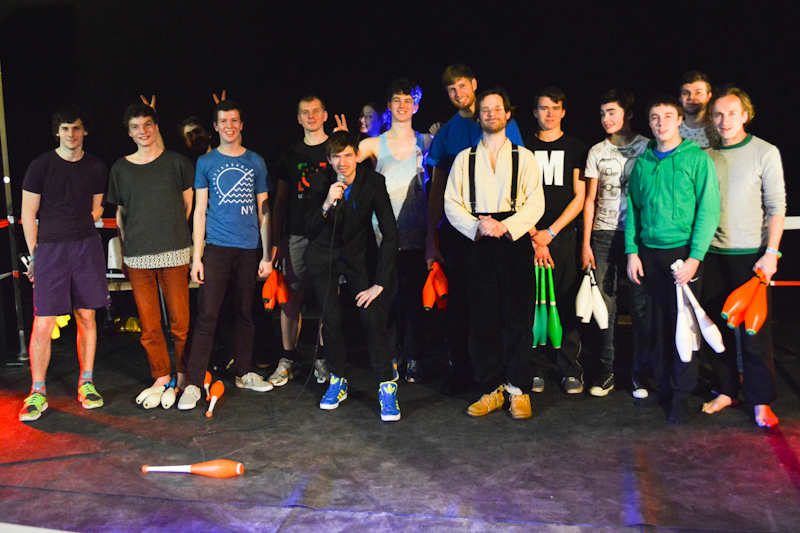 24 jugglers took part in the qualifications, and the top 12 were selected for the knockout rounds. For the first time Julius Preu beat Andreas Braun! Unfortunately for Julius, this wasn't in the final match, only the third place match, despite them being the top two seeded players after qualifications. Their head-to-head record now stands at 2-1 in Andreas's favor, with both of his wins coming in FNC finals. The final featured Dave Leahy, last year's champion. Dave knocked out Julius in his semi-final with a lopsided score of 5-0. Dave was joined in the final by 5th seed Jan Poolen, who won his first tournament at Lear last year. Jan beat Andreas Braun by the much more dramatic score of 5-4. This semi-final match against 5th-ranked Andreas was his highest ranked win, and his first ever win over a top 10 opponent. But Jan went one better in the final, beating 4th-ranked Dave Leahy, again with the score of 5-4. By winning against two top ten players in a row, Jan earned himself his second ever tournament title and 300 rankings points. Jan moves up to 12th place in the current 52 week rankings, his highest rank ever. Dave Leahy, dropping points from last year's WJW result, falls to 6th in the rankings, and Andreas moves up to take his 4th place. In the 2016 race rankings, Jan moves up to 2nd place, and Julius reclaims is top spot, despite not yet winning a tournament this year.